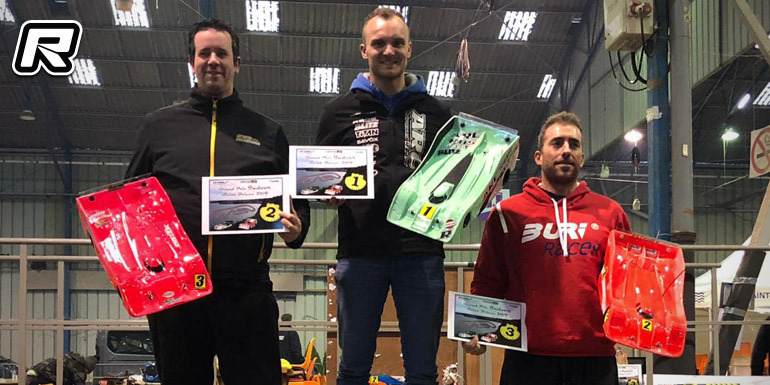 The 2019 Brieuc International Indoor Grand Prix was hosted by the Saint Brieuc Mini Bolides club this past weekend. 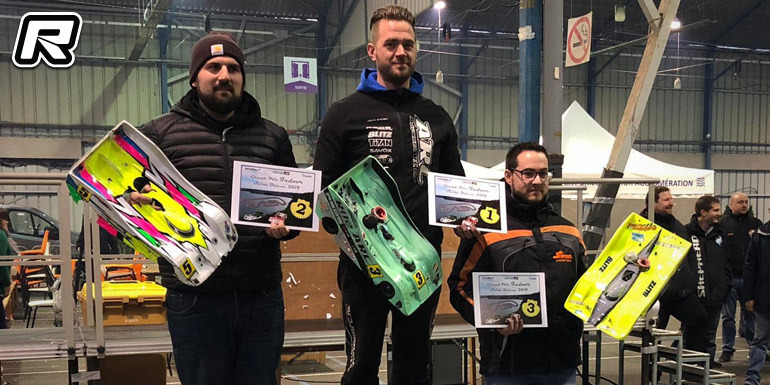 The 18th edition of the race was held in several nitro and electric classes and in the premier 1/8th IC track category it was Romain Picard with he overall TQ, a lap in front of Benjamin Brasset. John Ermen would come in 3rd after a troubled qualifying. In the 30-minute main final Jon would take and early lead that he would be able to convert into a win with a 1-lap margin from Mathias Kalaris in 2nd. 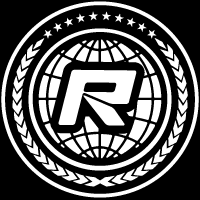 Gerald Colinet came in 3rd while TQ holder, Benjamin Brasset had to settle for 7th overall. In the P8 4×4 Brushless class it was Robin Hertong with the TQ and win from Stephane Bouche in 2nd and Mathieu Mayet in 3rd.